Save when you buy these 2 items together. Our Natural Shaving Cream is incredibly concentrated. A little goes a long way; you will get at least 5 months daily shaving from this single tub. 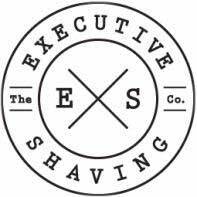 Created and formulated for Executive Shaving. Our Natural Shaving Cream is perfect for those even with sensitive skin. Watch our How to Shave With a Safety Razor video tutorial. Dr. Shave (Brian) shows how to create lather from a shaving cream and how best to use our Intensive Moisture Balm. A tremendous saving compared to buying the same products separately. Shaving with our shaving cream is a joy, finish off by splashing the face, patting dry and moisturising the shaved area. Use the moisturiser morning and night to promote supple, healthy skin. Potassium palmitate, potassium stearate, aqua, potassium cocoabutterate, potassium sheabutterate, sodium palmitate, sodium stearate, sodium cocoabutterate, potassium cocoate, potassium castorate, sodium sheabutterate, sodium cocoate, sodium castorate, glycerine (vegetable), Kaolin, Essential oil blend, linalool, citral, limonene, geraniol.